The love affair with peanut butter usually begins in childhood with the ever-so-wonderful PB&J sandwiches in your lunchbox. We would also slather that peanut goodness on apples, celery (ants on a log), crackers or just grab a big spoon and dig in. Today, the classic peanut butter we all fondly remember has competition from a variety of nut and seed butters. Some offer greater nutrition than peanut butter, while others are better left on the store shelf. Almond butter is a great source of omega-6 fatty acids and a better source of omega-3 fatty acids than peanut butter. Benefits: Almonds are the most nutritionally dense nut, meaning they’ve got the highest concentration of nutrients per calorie and ounce. We’re talking potassium, calcium, vitamin E, magnesium, phosphorous and iron. Other studies have found that eating almonds (the raw variety, at least) can help lower blood pressure and “bad” cholesterol, also known as LDL. 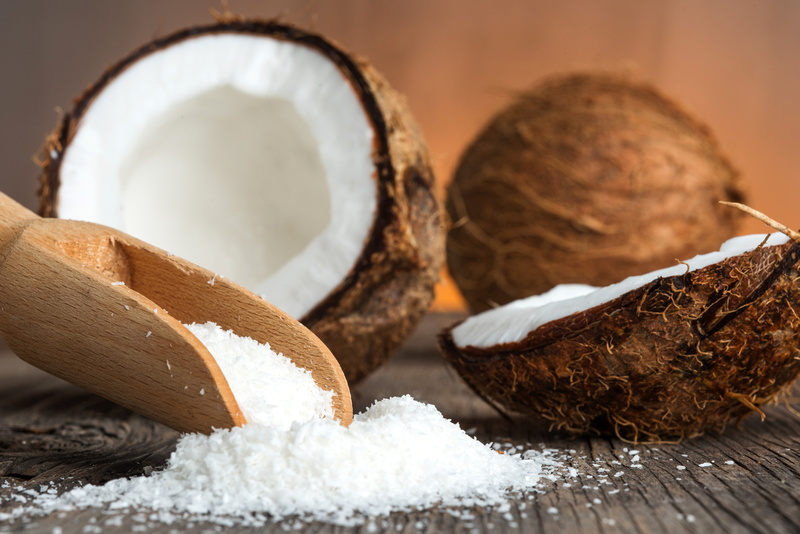 Coconut offers minimal omega-6 and barely any omega-3 fatty acids. 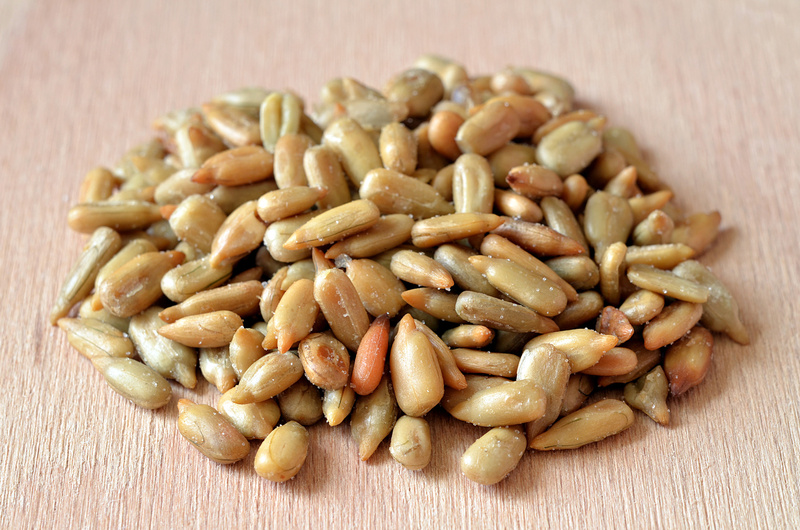 Benefits: For thousands of years, people have been eating this heart-healthy nut that supports the immune system, boosts metabolism and can even help prevent bacterial infection. Cons: There’s not too much protein in a serving of coconut butter and the saturated fat content’s pretty high. So be sure to spread a limited amount on fortified bread or another great protein source. 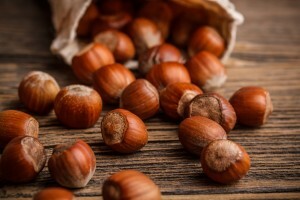 Like peanut butter, hazelnuts are a good source of omega-6 fatty acids, but don’t offer too much omega-3. Benefits: Also known as “filberts,” hazelnuts are packed with the good stuff: protein, fiber, vitamin E, copper and manganese. Cons: The problem is that a serving of hazelnut butter has about half the amount of protein that peanut butter has; therefore, it’s best to pair the butter with fortified pasta or another protein-packed food item. 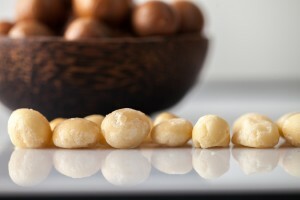 Macadamia nuts have a lot more omega-6s than omega-3s, though not quite as much of either fatty acid as peanut butter. Benefits: Of all nut varieties, Macadamias contain the greatest concentration of monounsaturated fat (good for the heart). In fact, research suggests that eating macadamia nuts can help prevent coronary artery disease. Cons: Even though it’s the good kind, macadamias are still pretty high in fat, so try not to exceed the 2 Tablespoons serving size. They’re also relatively low in protein, so punch up the nutritional value with milk, fortified bread or even oatmeal. 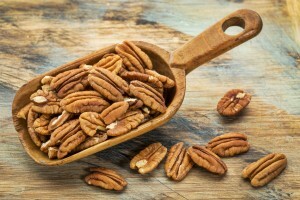 Pecans are packed with about 20 times as much omega-6 as omega-3 fatty acids. Benefits: It’s like a vitamin (and mineral) shop in a nutshell. Pecans are packed with vitamins A, B, and E, plus magnesium, potassium and a ton of fiber. And studies have found pecans can help lower cholesterol levels. Cons: Pecans are a little higher in fat than peanut butter, so consider limiting intake to 2 Tablespoons, as tempting as it is to eat an entire jar in one sitting. 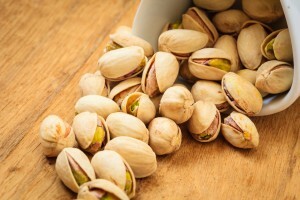 Pistachios are also a much better source of omega-6 fatty acids than omega-3s. 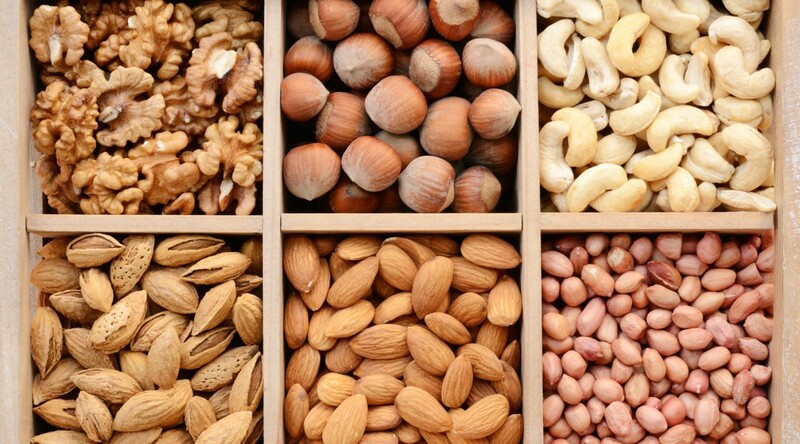 Benefits: These super-nuts are full of fiber and potassium, and more protein than most other nut varieties. Some research even suggests pistachios can lower cholesterol and boost antioxidant levels. Though a better source of omega-3s than peanut butter, soy nuts are also a better source of omega-6s than omega-3 fatty acids. 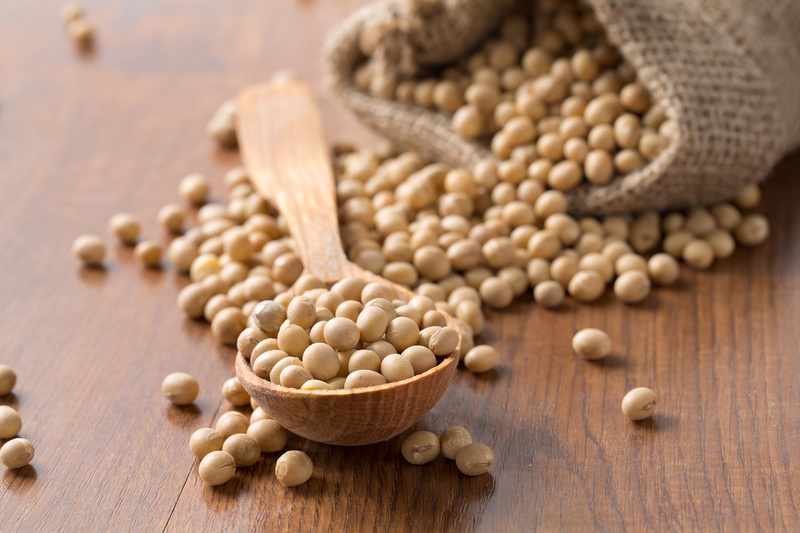 Benefits: Soy nuts offer a hefty dose of protein (even more than peanut butter) and all essential amino acids. 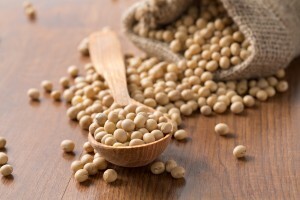 Plus the isoflavones in soy products may help prevent heart disease and cancer. 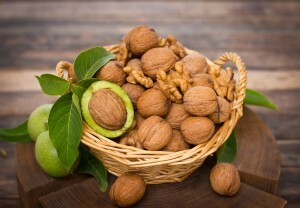 Walnuts are a great source of both omega-3 and omega-6 fatty acids, though they’ve got more omega-6s. Benefits: Look inside the shell for antioxidants, plus vitamins and minerals that can improve blood vessel health and help reduce inflammation. Cons: Walnuts are pretty high in saturated fat and low in protein, so consider limiting the serving size and sprinkling some other protein-power nuts, like pistachios, on top. 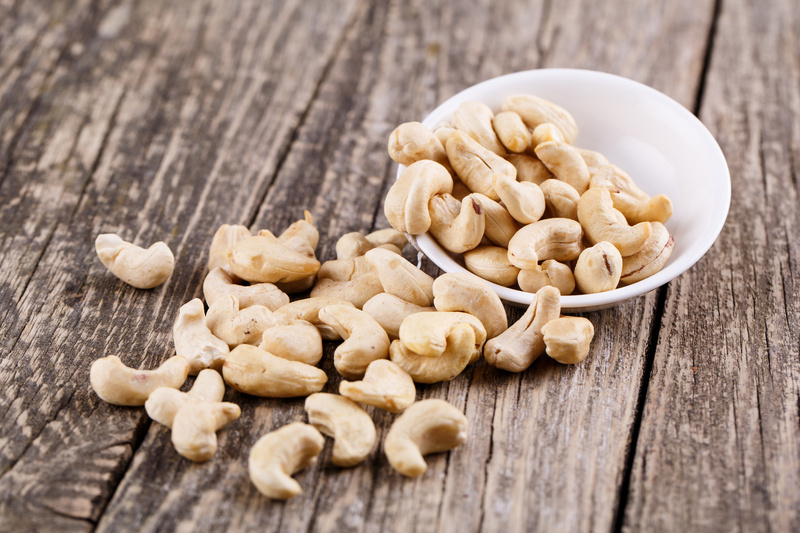 While cashews have slightly more omega-3 power than peanut butter, they don’t pack quite as much omega-6. Benefits: Cashews have a ton of important vitamins and minerals including iron, magnesium, zinc, copper, phosphorous and manganese. 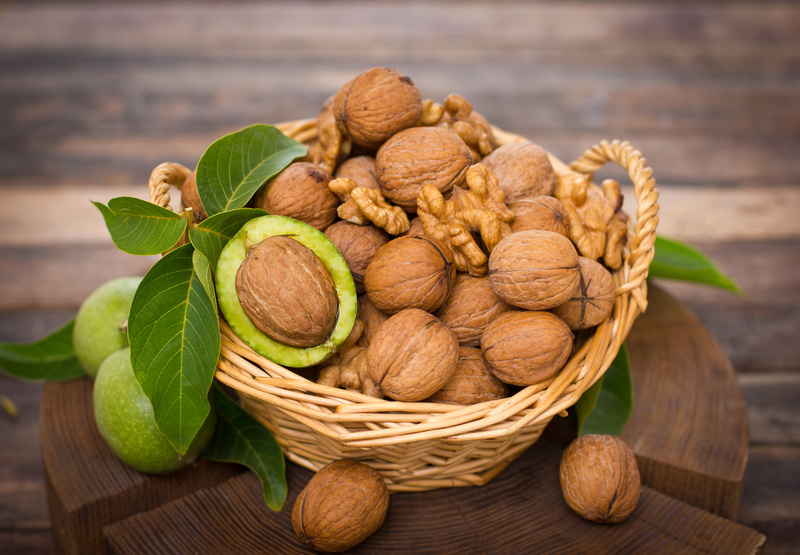 The nuts may also reduce triglyceride levels, especially important for those with diabetes. Cons: Cashews are lacking in the protein department, so add a glass of milk or another source of protein to the meal. 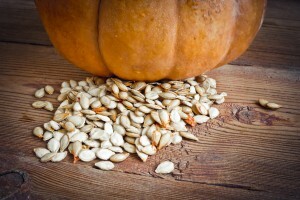 Pumpkin seeds pack more omega-6 fatty acids than omega-3s. 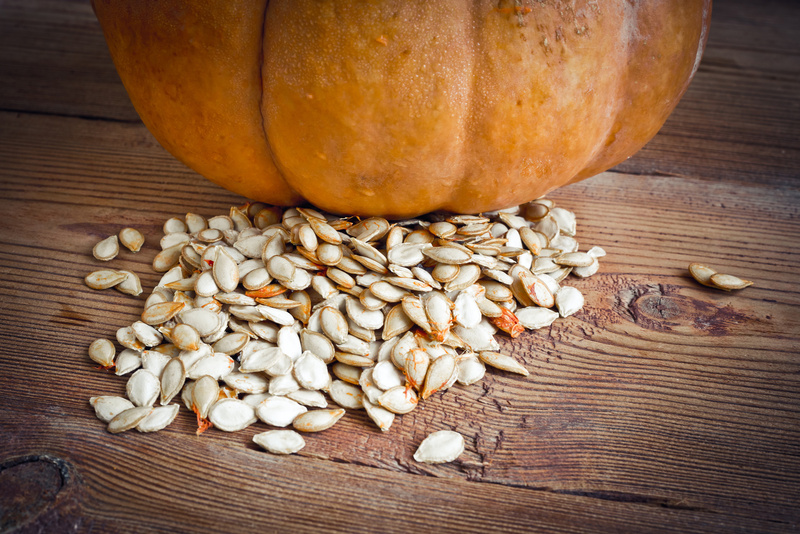 Benefits: After Halloween has come and gone, this superfood still makes an awesome snack in any form. Its best benefits include a ton of protein (more than peanut butter), fiber, potassium and beta-carotene, a nutrient associated with boosting the immune system. Like peanut butter, sesame seeds are filled with omega-6 fatty acids, and not so much omega-3. 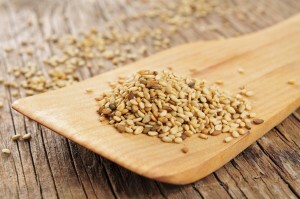 Benefits: Sesame seeds are a great source of nutrients including calcium, magnesium, iron, vitamin B1 and fiber. 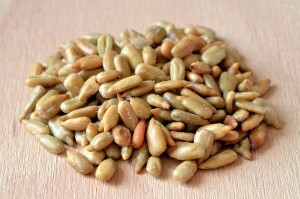 Research suggests the seeds can lower cholesterol levels and help prevent cancer and heart disease. Sunflower seeds don’t offer much omega-3 fatty acids, but they’re brimming with omega-6s. Benefits: Sunflowers offer a great source of magnesium and antioxidant vitamin E.
While JIF and Skippy are nice on your wallet, most of these alternative butters are less processed and better sources of protein and Omegas. You can usually find them located in the natural section of most grocery stores. You can also order most of these butters online. As much as I love a good PB&J, using almond butter instead of peanut butter is just as tasty. Give it a try!